Everyone knows Oak Park heralds itself as a beacon of diversity nowadays and as it turns out, even the old upper crust of Oak Park was on the forefront of breaking down barriers. 94 years ago, on September 13th, 1919 the Oak Park Country Club become world famous by appointing a woman, yes, a woman, as caddy master of the club. 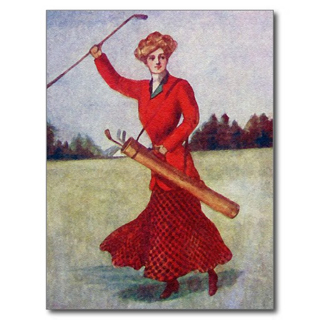 An Oak Park Oak Leaves story titled “Girl is Caddy Master” details the story of one Miss Mathilda Eggener, named caddy master over 350 caddies, who, according to golf professionals of the time, was the first female caddy master in the world. A graduate of the University of Wisconsin letters and science program, Eggener was a schoolteacher by trade who brought the discipline and organization of the classroom to her work on the golf course. Eggener enjoyed her work as caddy master so much she declined a position at Watertown High School in Wisconsin twice, first the initial offer, second, the same offer with a $50 raise.